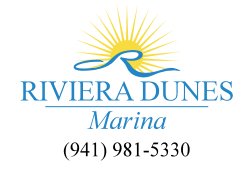 Why Choose Riviera Dunes Marina? When you stay with the premier Bradenton area marina, you can save a few dollars while still enjoying all the luxury you are accustomed to. Delight in the finest seafood and live entertainment just steps from your boat at the Blu Mangrove Grill. Enjoy a relaxing getaway on our large Social Deck with gas grills and two heated pools. 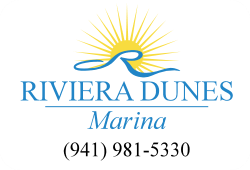 Our expert marina staff is always happy to help and ensure first-class service. Or if you are just looking for a safe home for your vessel, our protected, deep water cove is ideal for seasonal and year-round boaters that want to rest easy while away. Check out our On-Site Services, including large private bathrooms, laundry room, and water/electrical services provided. And visit our local Area Attractions, such as Downtown Bradenton and the Riverwalk. Plus, all of our tenants have 24/7 access to our HiDef Security Cameras. Contact the marina office for login details.